The Seminole Tribe of Florida is dropping its bid to block the disclosure of financial information about its casinos. The tribe made the move on Friday, shortly after Politico printed details of the deposition of casino executive Jim Allen. 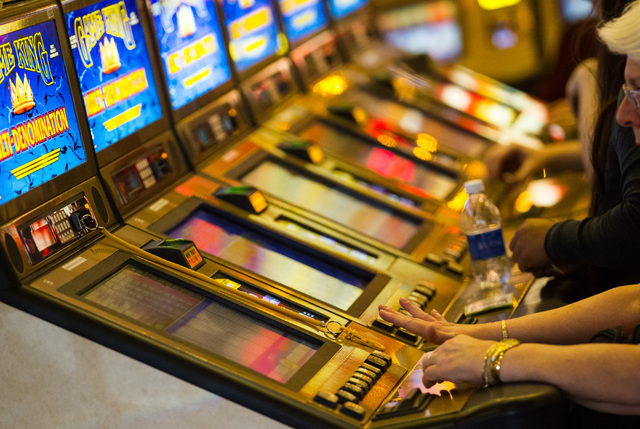 People play on slot machines in this file photo. TALLAHASSEE, Fla. — The Seminole Tribe of Florida on Friday dropped its legal fight to try to block the disclosure of financial information about its casinos saying that the issue became “moot” after details were published by Politico. Attorneys working for the tribe earlier this week asked a judge to stop Politico from releasing details from the deposition of Jim Allen, the CEO for Seminole Gaming, until the tribe could decide whether the material contained trade secrets. But they withdrew that request shortly after Politico released a story on the deposition that quoted Allen saying that the tribe that runs major casinos in Tampa and Hollywood made $2.4 billion last year and that $2.2 billion came from the gambling business. Attorneys said in their motion that because the court “can no longer afford the tribe meaningful relief,” there was no reason to ask the court to act. The deposition is part of the evidence that will be considered during an October federal trial between the state and the tribe over whether the Seminoles’ casinos can continue to have blackjack tables. The tribe filed the lawsuit last year after key portions of a 2010 gambling agreement that allowed the tables expired. The administration of Gov. Rick Scott countersued, and the lawsuits have been consolidated. Politico obtained the deposition through a public records request to the main state agency involved in the lawsuit. The Department of Business and Professional Regulation, which reports to Scott, released to The Associated Press late Friday a redacted copy of the deposition after removing the financial information about the casinos. Barbara Petersen, an attorney and president of the First Amendment Foundation, said earlier this week that under current law, financial information is not included under the definition of trade secrets, although the law is going to change later this year. The trade secrets law also states that it’s a felony to release confidential information. When asked whether the state was now saying it broke the law by releasing the information to Politico, Eagle said the release was “inadvertent” and that the state didn’t know the information would be labeled a trade secret by the tribe. In Allen’s deposition he talks about his career in the gambling industry, including when he used to work for a hotel and casino connected to businessman and GOP presidential candidate Donald Trump. Allen also explained why back in 2010 the tribe agreed to limit blackjack tables to just five years in its initial deal with the state although other parts of the agreement run 20 years.